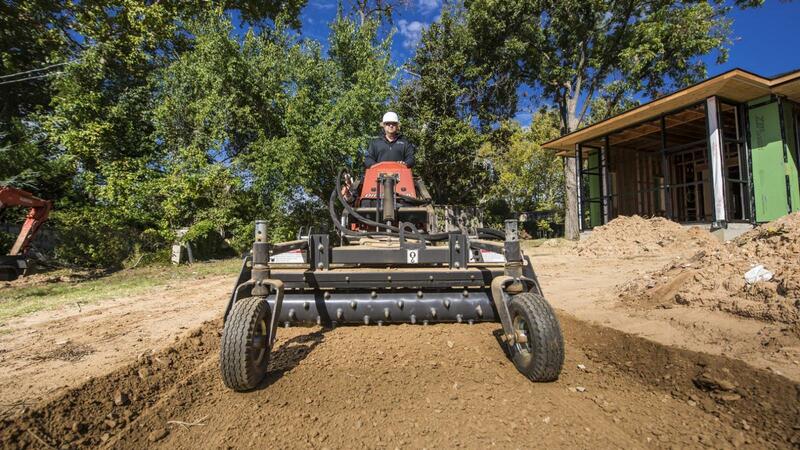 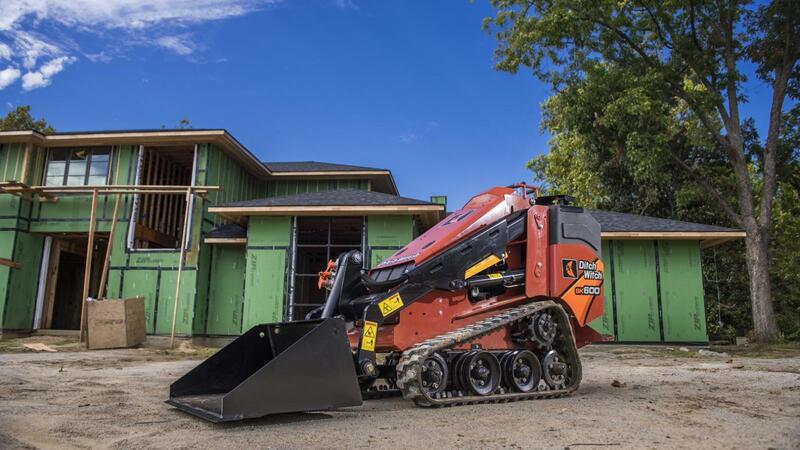 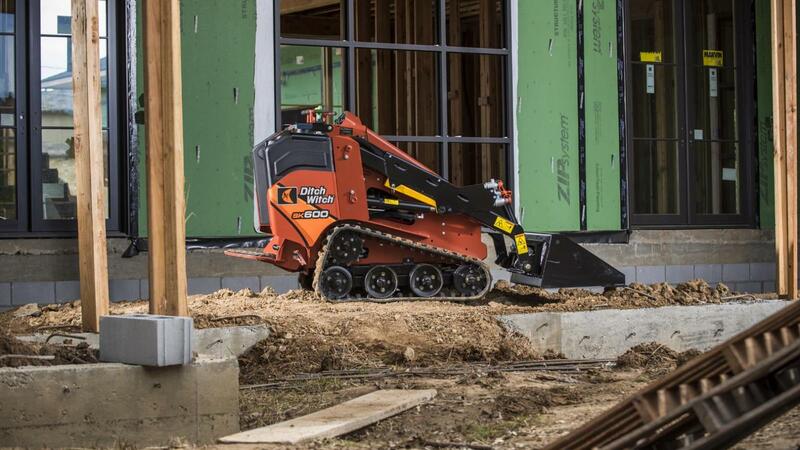 Designed for small-scale landscape and irrigation jobs, the Ditch Witch SK600 mini skid steer has a narrow frame for better maneuverability in tight, compact spaces. 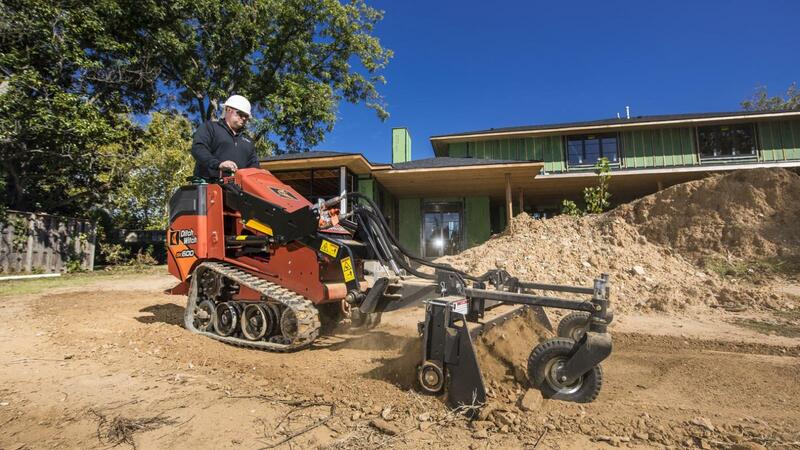 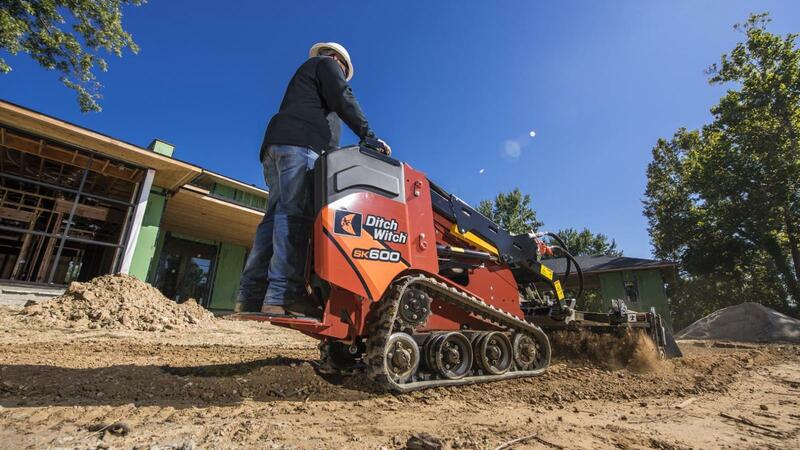 The small, yet mighty machine delivers industry-leading power to the attachment for enhanced jobsite productivity and versatility. 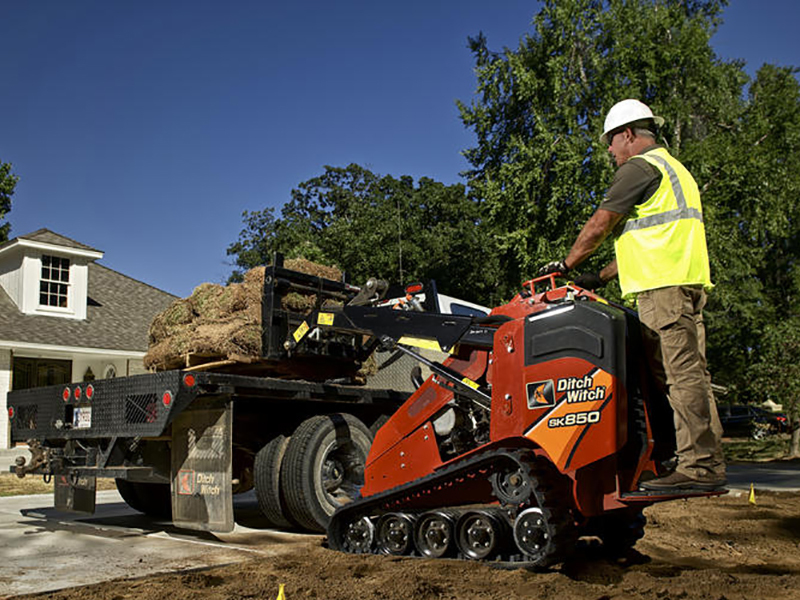 A redesigned, ergonomic operator’s station with optimized hydraulics offers the smoothest ride in the industry so operators stay comfortable and productive for long hours on the job. 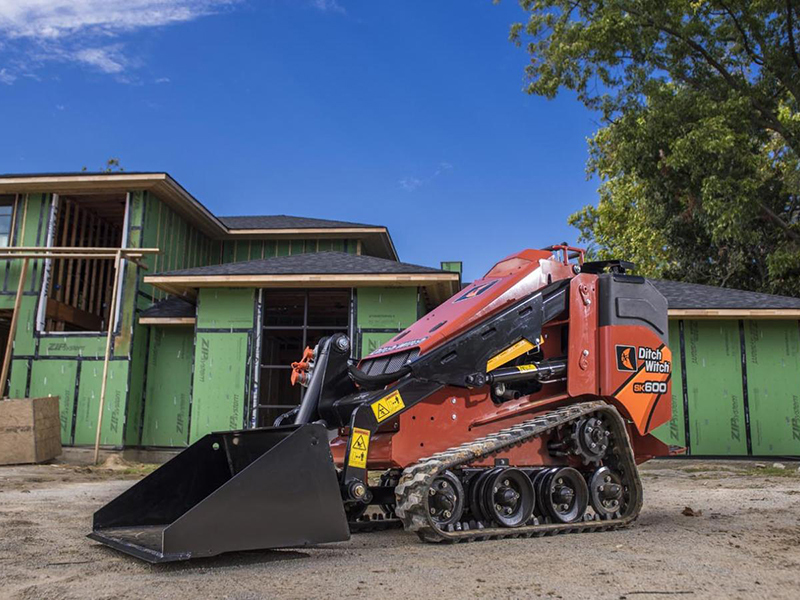 Built for heavy-duty operation, the construction-grade design improves machine durability and longevity and overall machine ROI. 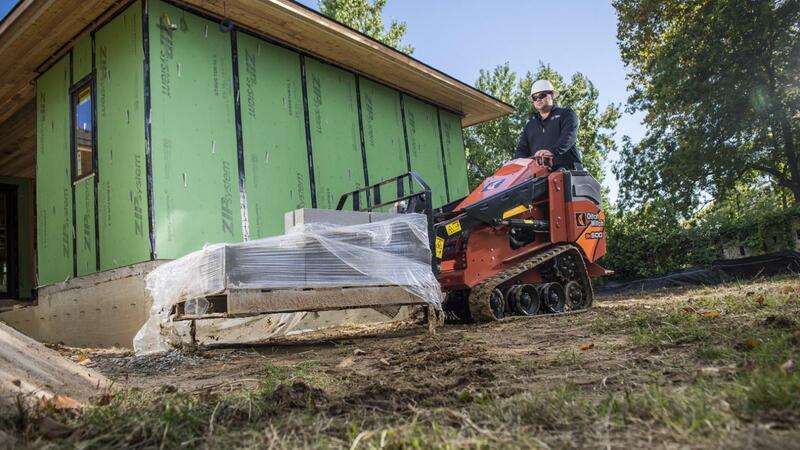 600-lb rated operating capacity and 76-in hinge pin height enables productive loading and ability to handle tasks requiring more strength and power. 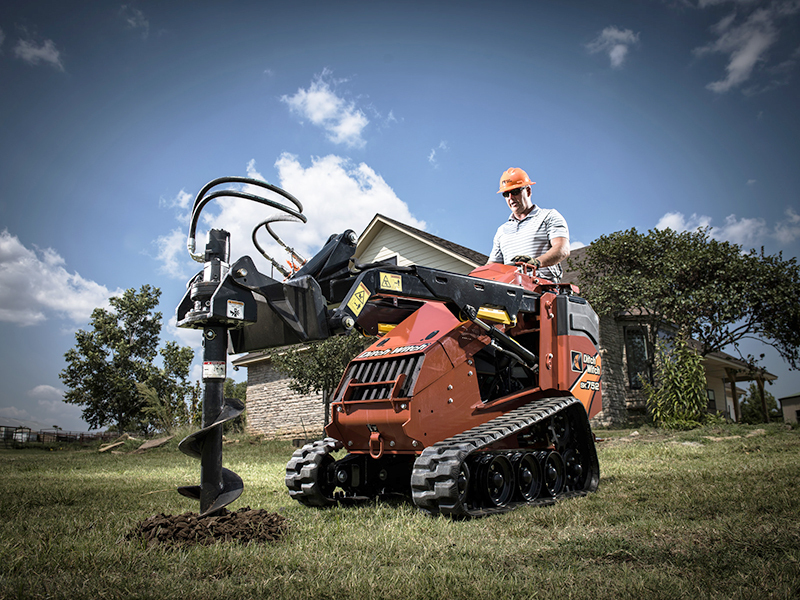 Single-point, lockable fuel and hydraulic fluid tanks improve security and provide peace-of-mind. 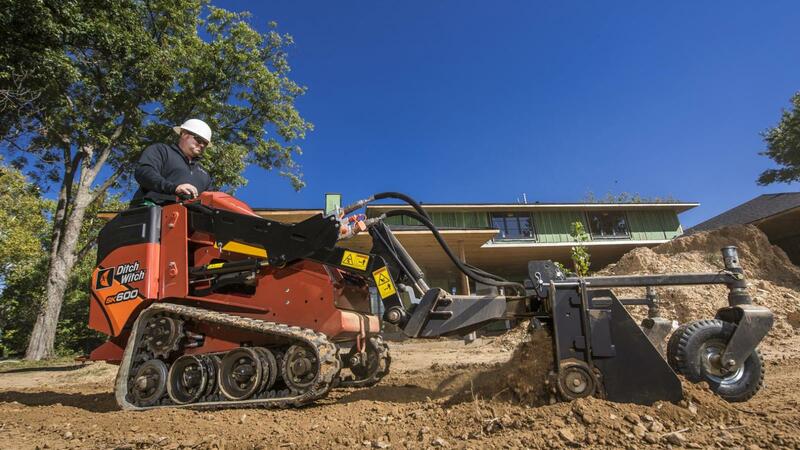 Ergonomic operator’s station comes standard with dual-level ground drive controls, with an optional joystick, allowing the operator to control each track independently for improved maintenance and mobility on difficult jobsite conditions.